Our daughter Noel was just two weeks old when I resigned. Three weeks later I walked out of the office for the last time. This was the start of my adventures of working from home and the experience of two worlds colliding. This experience has tempered an understanding that the greatest challenge of being a remote worker on a remote team is being physically present in one environment and mentally present in a separate one. The greatest challenge for a remote worker is being physically present in one environment and mentally present in a separate one. There is the constant opportunity of being forced to switch focus between the two, balancing and meeting the expectations of both, as well as succeeding at keeping appropriate boundaries and commitments. The opportunity for collisions between both environments is uncontrollable, and so the art of the relationship is what guides success or failure. You have to be great at fostering relationships in both your physical space as well as your remote community. One of the biggest adjustments for me was a lack of transition time (which I hadn’t anticipated). Previously I had had a 30 minute commute one way. This was my time for preparation or decompression and I had become accustomed to it. One of the first remote working skills I developed was the ability to more quickly jump into a working context. This past year my “commute” has consisted of a short routine that involves taking my daughter to school (less than a mile away), checking Cultivate Now’s PO Box, and then brewing a pot of coffee and settling in. This habit of a “commute” has become an important trigger to help queue me to start strong out of the gate each morning. One benefit I value greatly since working from home has been an improved marriage. My wife and daughter are who I have the most IRL contact with throughout my day. With this benefit though, has become a tighter coupling of home and work life. Marital disagreements have a much greater impact on my work productivity. It is much harder to mentally isolate home life while still being physically present in the home. I don’t see this as a negative at all. Our society has been struggling with relationships that make it into their golden years. My marriage has reaped much fruit from the constant nudging to stay engaged since I started working remote from home. The point is this; if there is a problem or disagreement in your marriage when you work from home, commit to resolve it in a prudent amount of time. Just as your family relationships have an increased importance of engagement, your work relationships run the opposite risk, avoidance. Avoiding conflict at work is much easier when you work remote. There is a lot to be said about work relationships in a remote team; so for this post, the takeaway is that there is an increased risk in conflict avoidance and not reaching resolution. Be aware of this. 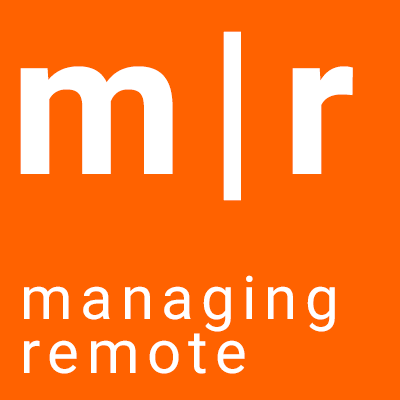 When you work remote, there is an increased risk in conflict avoidance and not reaching resolution. Every environment, either remote or co-located with your co-workers faces numerous challenges. The new world that emerges in a remote work or flexible work arrangement requires a greater level of commitment and ownership on your part. It requires commitment to developing personal leadership, leadership of one’s self. It requires growing socially and becoming more adept in both physically present relationships and the intangible digitally connected ones. Also it requires the ability to become better at quickly switching contexts. 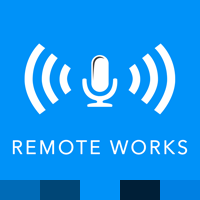 It takes practice and commitment, but is a core skill for a remote worker. The final point is that what emerges is really shaped and governed by the culture comprised of the team. Some cultures are more conducive to developing a healthy remote working environment, others are not. Embrace the collision of your two worlds, build relationships, go forth and provide value.